Reece Oxford (l.) headed home to score his first goal since joining the Foals this summer. 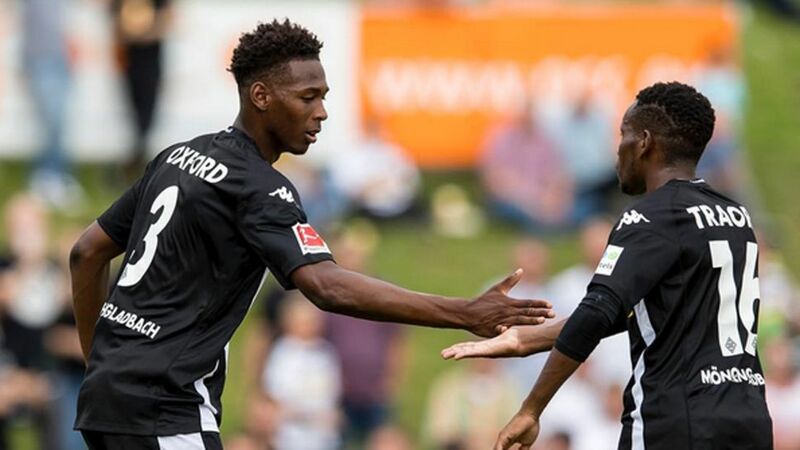 English defender Reece Oxford has made the perfect start to life in Germany, scoring his first goal with the club in a pre-season friendly win over Malaga. With Borussia Mönchengladbach trailing 1-0 to the Spanish outfit, Oxford converted with 13 minutes left to play. The English teenager, on loan from West Ham, headed home from an Ibrahima Traore corner to bring his side level before Raffael scored a penalty with a few minutes to play, earning Gladbach the 2-1 win. Oxford has played a major role during the pre-season preparations for Dieter Hecking’s side. He started in both of Gladbach’s games in the Telekom Cup, as well as the friendly matches against Nice and Nürnberg. Watch: Behind the scenes at Gladbach's Media Day! Click here to read more Borussia Mönchengladbach news!